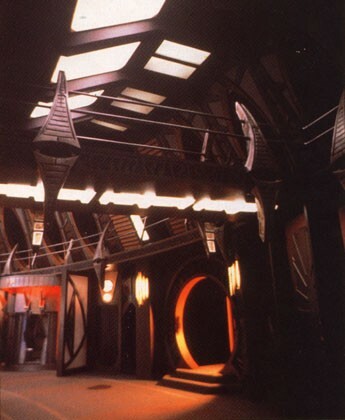 Guest blog by Jamie Dodge… An argument for Deep Space 9. 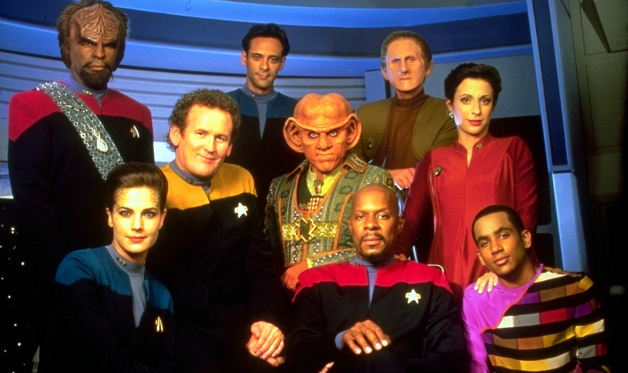 Let’s be controversial… DS9 was the best Star Trek show in the franchise. 1. 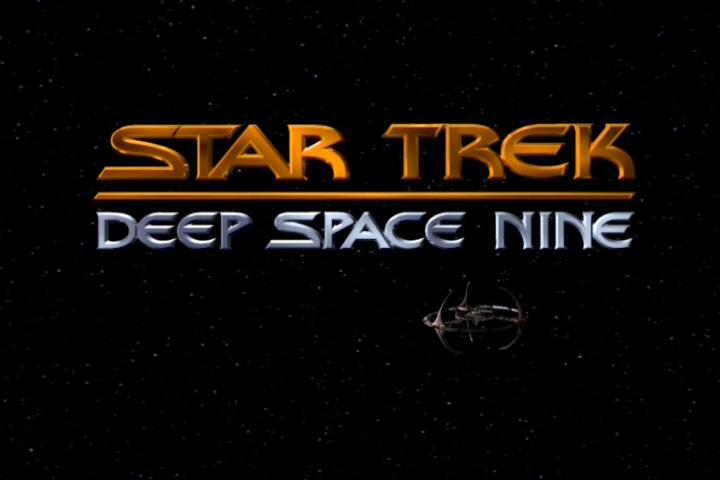 Up until DS9, the whole franchise was episodic. When DS9 came along, the writers took it into a direction that hadn’t been done before. This show serialized the story line, making it one long, seven year story arc. This made it possible for the characters to be developed in a way that hadn’t been done before. Sure, we saw Picard developed more than any other character up until that point, but most characters in the franchise were fairly one dimensional, stick-to-their-character-traits kind of people. Because of what the writers did with DS9, we were able to see the characters in not only their capacity as Starfleet personnel, but as mothers and fathers. Friends and enemies. Even as business people. 2. It was a decidedly darker show than the ones before. There were dark episodes in both the original and TNG, but as a whole DS9 had a darker feel to it. The show was set up as basically an Old West town where the moralities of Starfleet weren’t as easy to follow as they were on board either of the Enterprises. The line wasn’t always as black and white as in the other shows. 3. The look of the show itself was, well… just better. 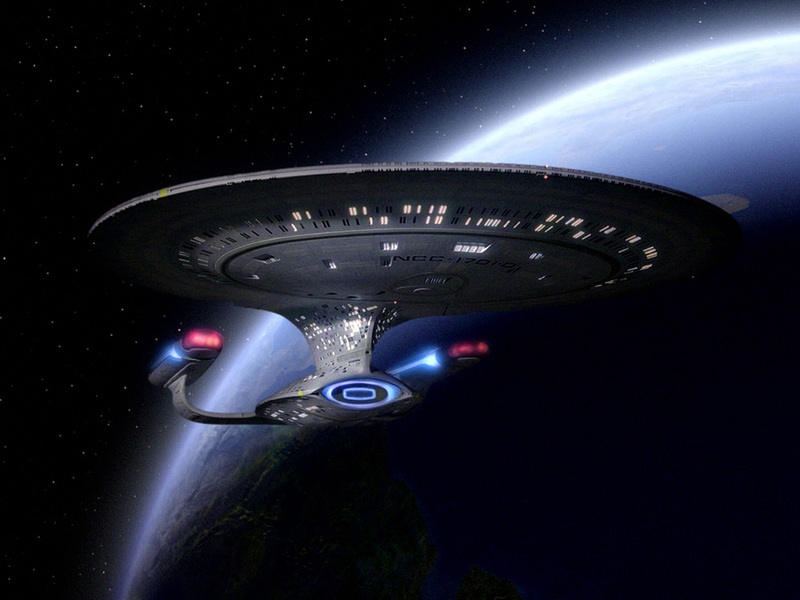 From the wormhole that led to the Gamma quadrant, to the interior shots of DS9 itself. The show’s predecessors were bright and airy, for the most part. DS9 had a more realistic feel. Long, slow panning shots were the norm, and they made for a better show. 4. The antagonists’ stories were just as good as the protagonists. 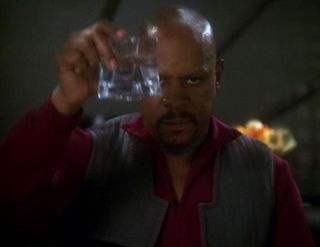 On the shows before DS9, there was usually a clear cut bad guy, not so on DS9. It was easy on the other shows to draw a line and say, “The line is drawn here! This far, no farther!” It wasn’t as simple as that in DS9. There were a myriad of races who all had their own way of doing things. The rules of Starfleet Command didn’t apply to them, and this made for a much better story line than previously seen. 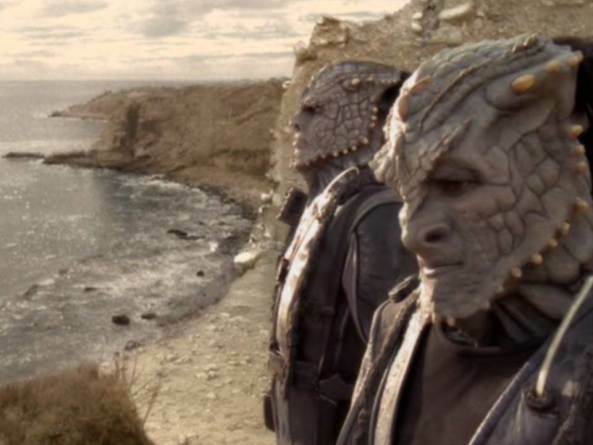 It wasn’t until the Dominion was introduced that there came a force everyone could hate, and that’s saying a lot when the Cardassians were around. 5. 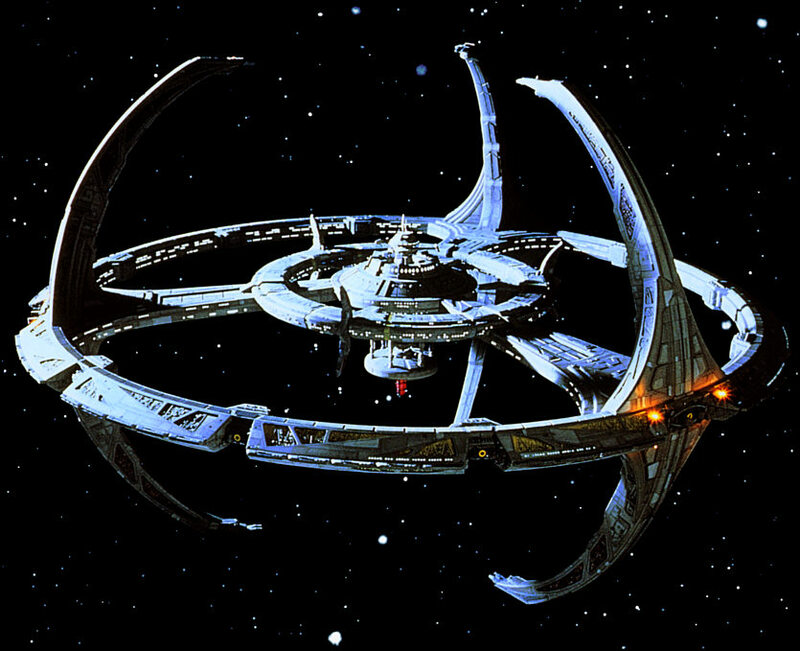 Last point, season 6 of DS9 is probably the best season of any Star Trek television show. The reason I say that is because it was the only time, in any of the shows, where the true essence of war was shown. Yes, it had the explosions we all look for, but it also showed the struggles of war. It showed the dilemmas of a Commander having to make choices that he knows go against his own moral compass. It showed the impact of extended warfare on troops. It showed the struggles wounded soldiers go through. If you haven’t watched season 6, I advise you to. This all, of course, is one man’s opinion. I know a lot of fans of the Star Trek universe look down on DS9 because it didn’t follow the pattern of all the other things in the Star Trek universe. Give it a chance though. You will like it. Jamie Dodge’s first book, The Forgotten Edge was recently released in October, 2014. Two men set out to do a simple planetary survey when tragedy strikes. Trapped on a world that is completely alien, yet somehow eerily familiar will they survive or will they fall over the edge? When their mother ship explodes for an unknown reason, Andrews and Levy are left with nothing but a short range transport and a few simple tools. With no other choice they set out on a mission to survive the alien world they find themselves trapped on. The Forgotten Edge is a story of survival, companionship and much more. You can find Jamie Dodge on Facebook, Twitter, Wattpad, Google +, and Goodreads. Omega Doom…. post-apoc, robots, and Rutger Hauer. Star Wars: The Force Awakens…. It was one of the more sophisticated shows of the franchise for sure. Lots of politics and some dabbling in philosophy. The whole changling/jem hadar war over stayed its welcome on television and scuttled the show. I thought the last episode was done very poorly not that most people were still watching by then. Honestly, I stopped watching very early on. I don’t believe I got through the first season. I do remember being fascinated that Worf was part of it. After Jamie’s write-up, I may very well revisit it. A guest blog I did on my friend Evan’s site a while back.